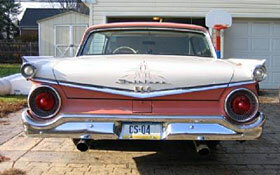 1959 FORD GALAXIE 500 A SURVIVOR if there ever was one !!!! 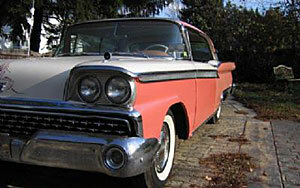 This 1959 Gord galaxie 500 has been spared the ravages of TIME ...... an ALL ORIGINAL CAR !!! 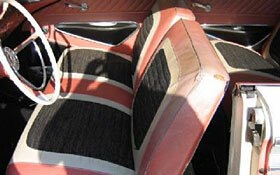 The original factory colors and interior have been VERY WELL MAINTAINED ever since NEW !!!! The V8 engine runs like a showroom car.... the auto trans shifts just as Ford intended ...... And this is the UPSCALE galaxie 500 model and a 2 door HARDTOP to boot !!!! All the bright work on the car is nothing short of SPECTACULAR ...... Where were YOU in FIFTY-NINE ??? a VERY RARE car today ...... not many survived and this one has aged as if time itself stood still in her garage......Price: $14,900.